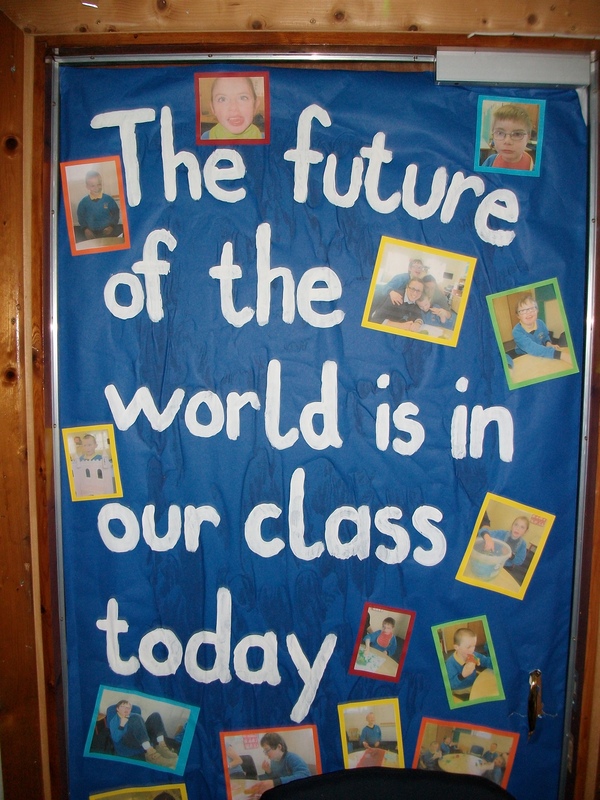 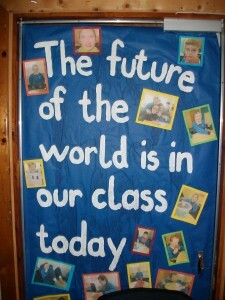 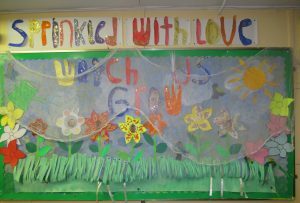 The children in Class 1 are very busy settling into their new class and creating a wonderful display for the hallway. 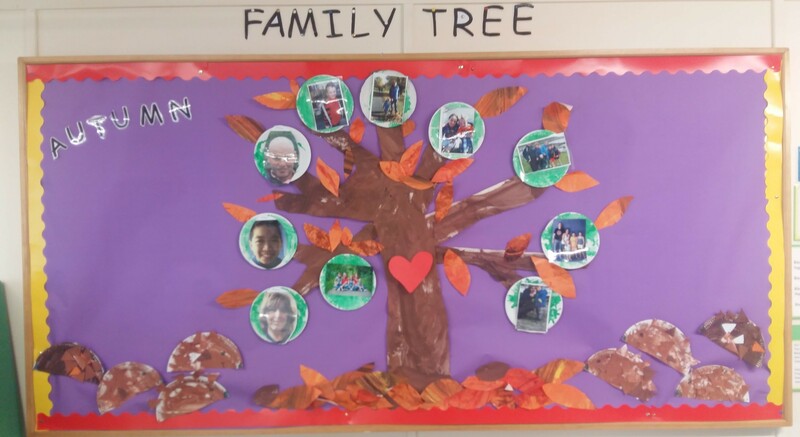 The children are decorating family trees and learning all about ‘The Little Red Hen’ story and looking forward to trick or treating over the Halloween break. 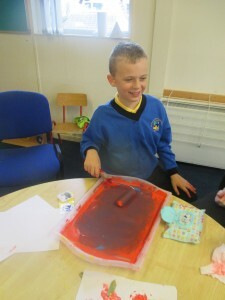 This month in Class 2 we are looking at the story ‘Room on the Broom’. 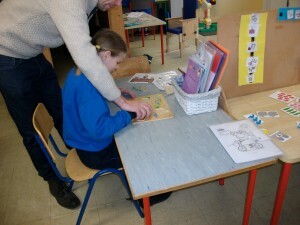 Each child got a turn to take the book and some props from the story home. 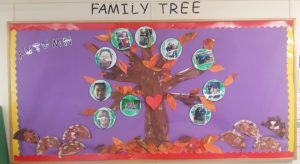 They read the story with their families and took photo’s of this. We have made lots of crafts for Halloween and learned some poems as well. 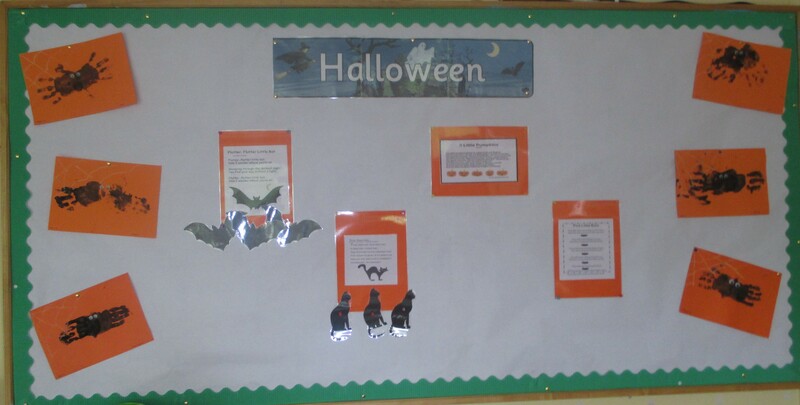 The children are learning the poem Flutter, Flutter Little Bat by Leanne Guenther in class. 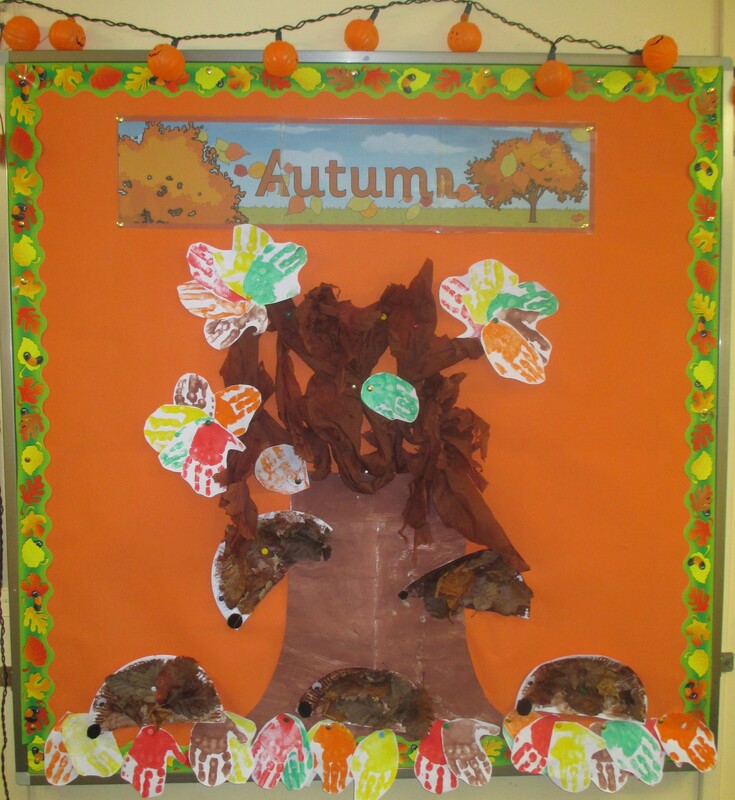 Taking inspiration from an Autumnal theme the students in Class 4 etched Autumn leaves. 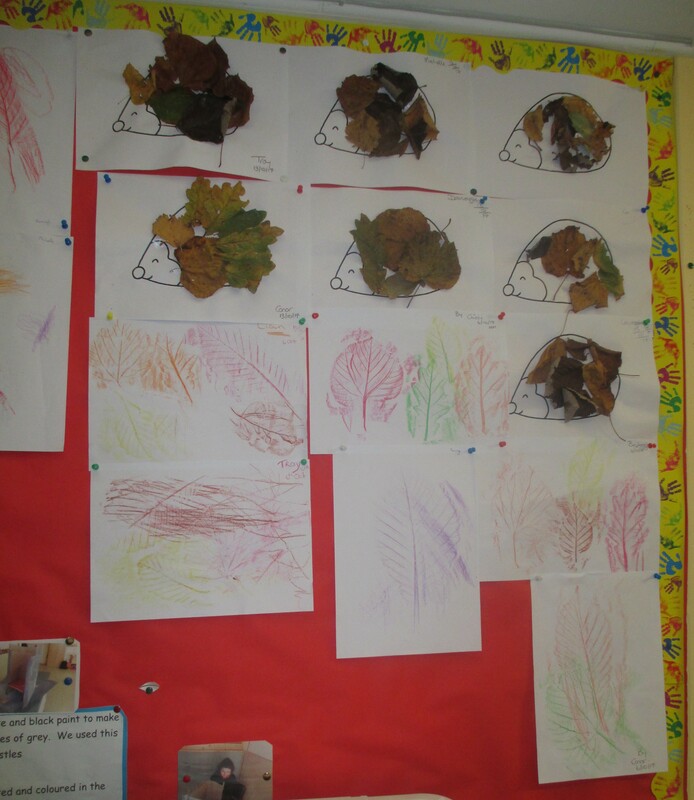 A variety of colours and leaves were used dependent on the students personal preference. Students also utilised hedgehog based templates to complete a visual arts based piece. Different leaves such as Oak, Beech, Sycamore and Ash were used by the students to make the spines of their hedgehogs. 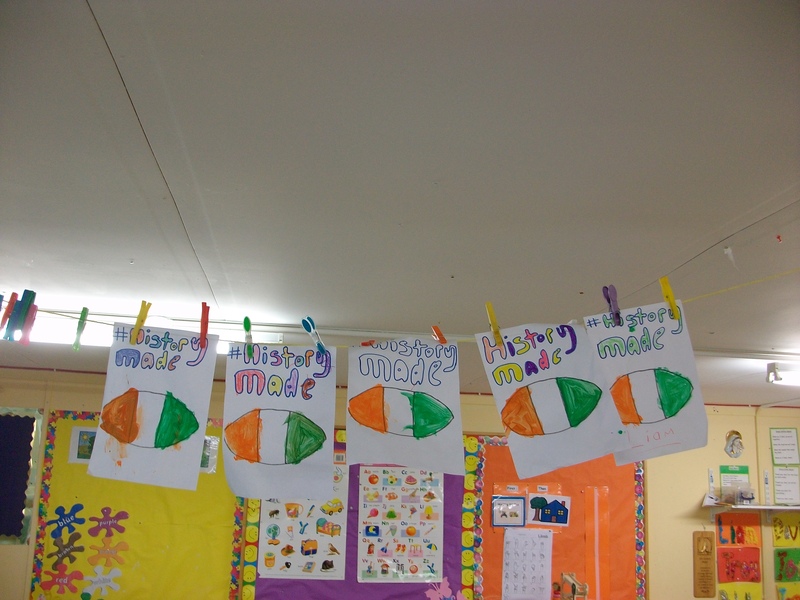 Story time is happy time in Class 1! 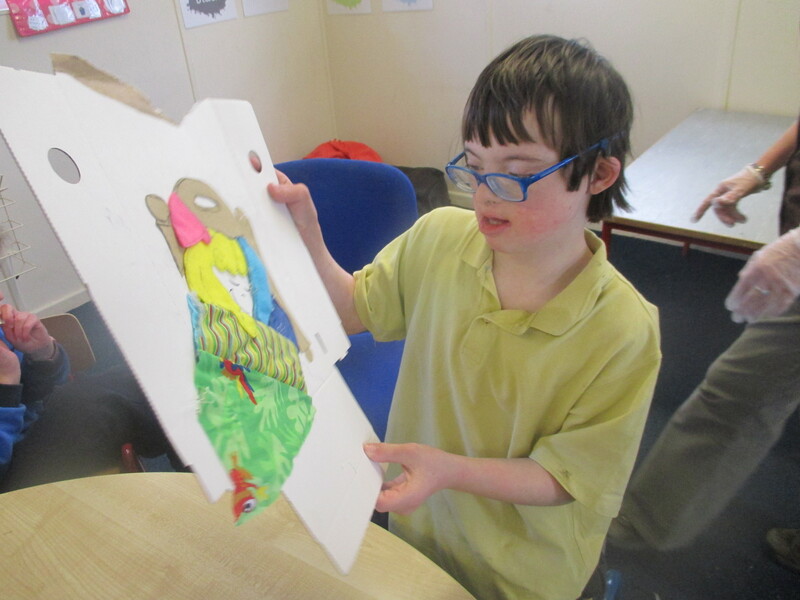 For the first half of term, the boys and girls in Class 1 have been learning about stories such as The Gruffalo and Room on the Broom. 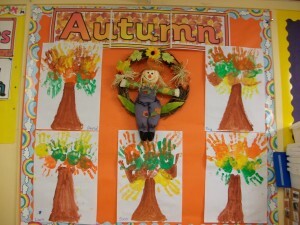 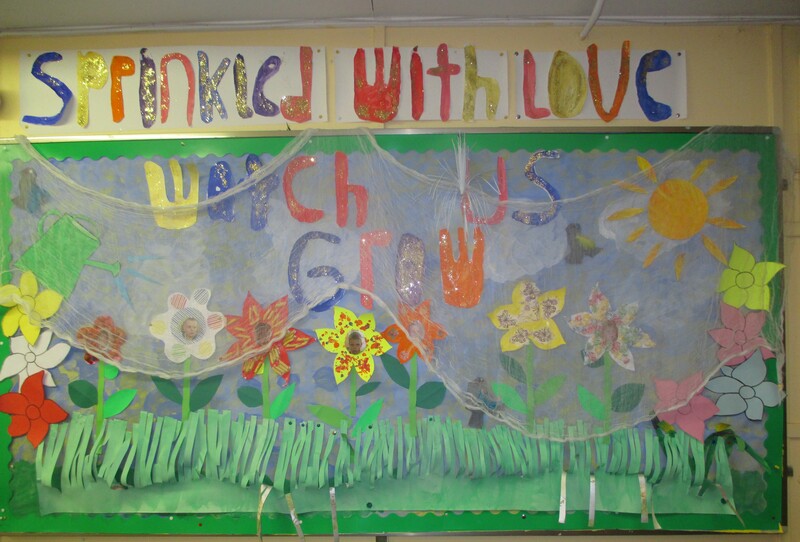 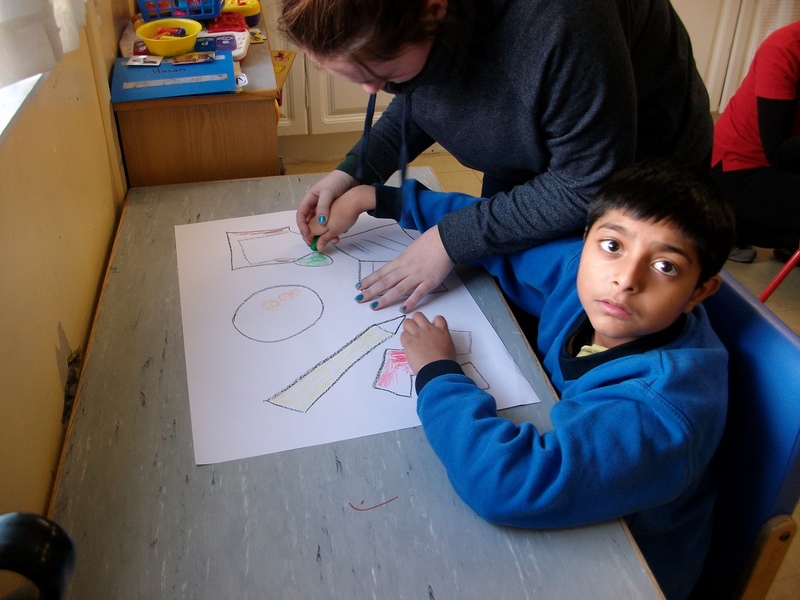 They have also been creating beautiful displays and artwork demonstrating the change of season from Summer to Autumn. 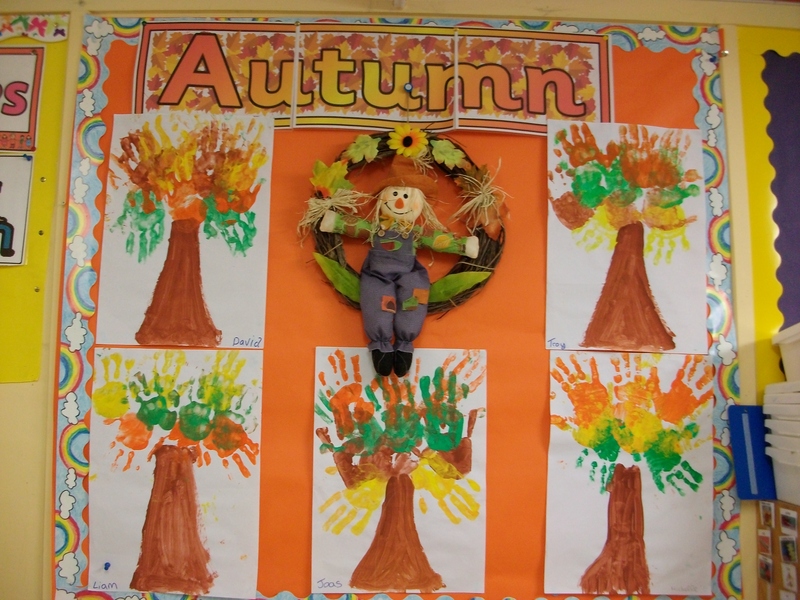 The gang in Class 2 have been learning about Autumn for the first half of term. We stopped by one of the days where they were hard at work! Here is what we saw…. 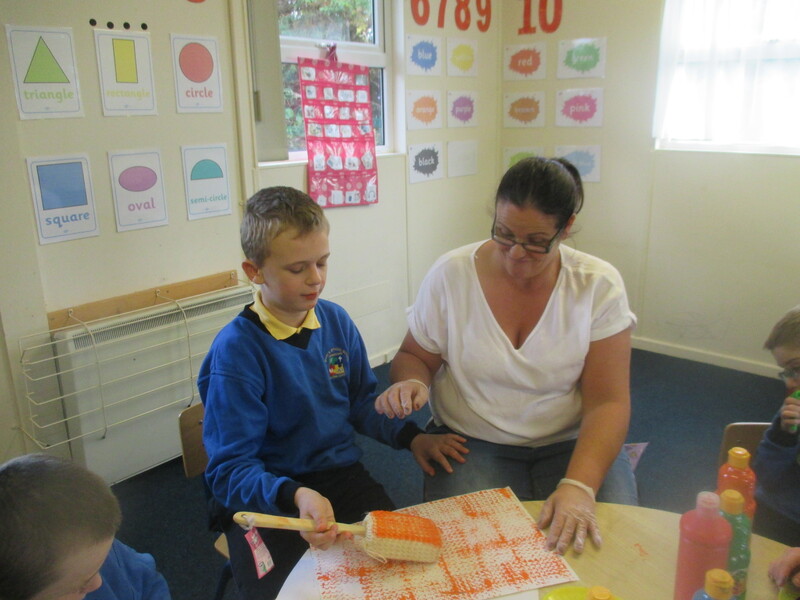 Another busy bunch the first half of term is Class 3! 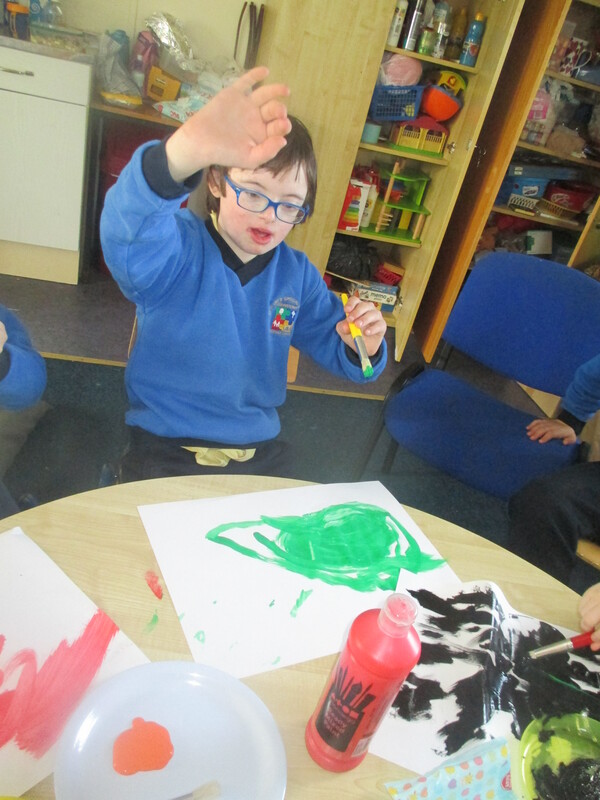 They have been doing a lot of artwork and have even covered both of their doors with their fabulous displays…great job guys, keep up the good work! 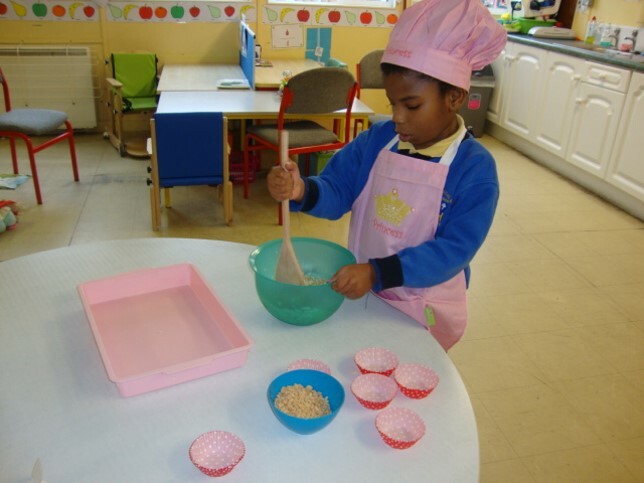 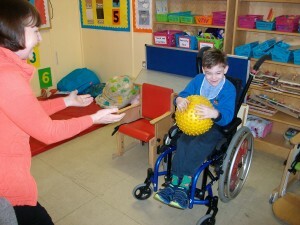 The crew in class 4 were up to lots of activities this half of term! 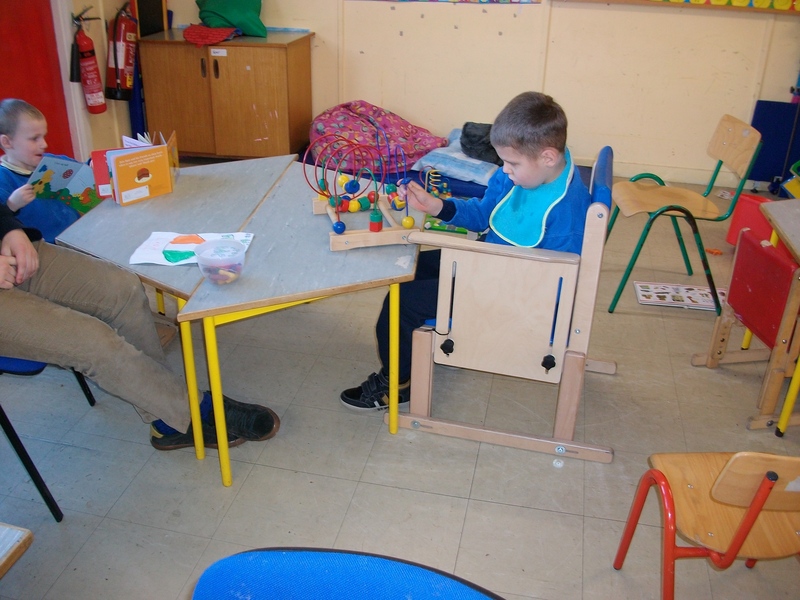 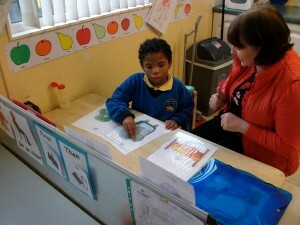 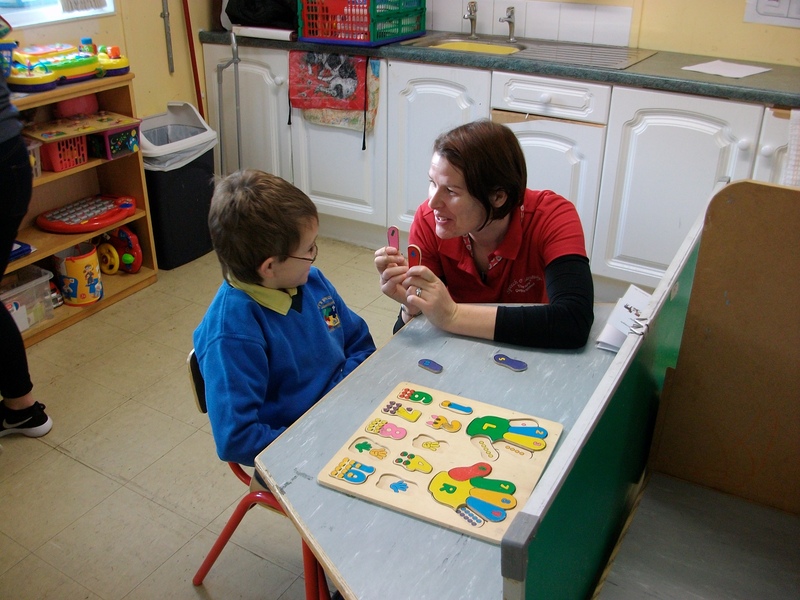 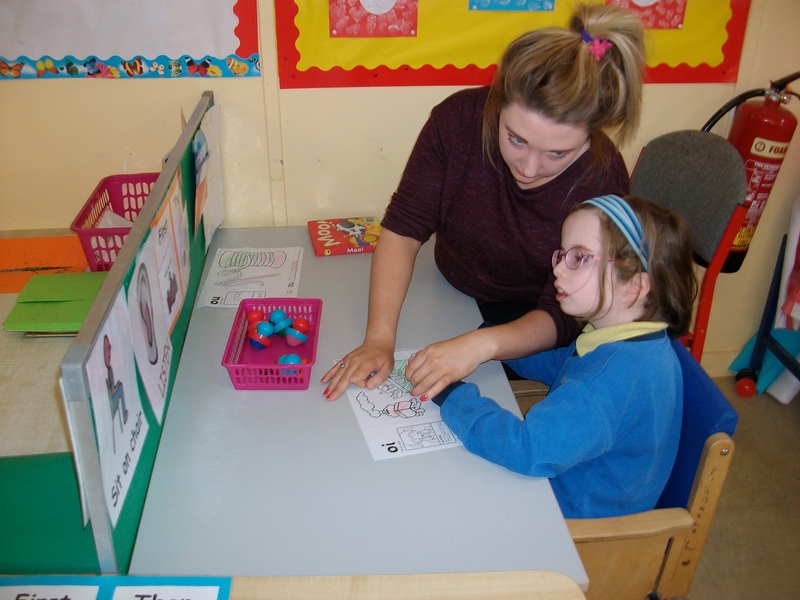 They have been busy working on their puzzles and have had lots of special visitors in to check up on their progress! Super stuff boys and girls!